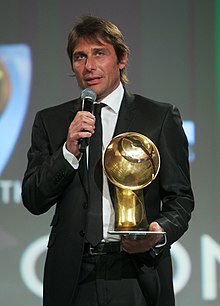 Antonio Conte (born 31 Julie 1969 in Lecce) is an Italian fitbaw manager an umwhile fitbawer. He wis last manager o the Inglis team Chelsea. This page wis last eeditit on 12 Julie 2018, at 16:41.